Sign up for Broadjam today to follow Beth Mullaney, and be notified when they upload new stuff or update their news! 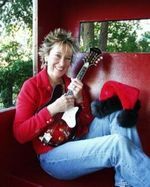 Beth Mullaney - "Simon Says"
An ecclectic Christmas holiday album featuring original songs by Beth Mullaney as well as a new twist to traditional favorites. Instruments featured are mandolin, guitar, spoons, bodhran, ukulele, japanese shansin, harmonica and kazoo. This compilation has a unique celtic feel. 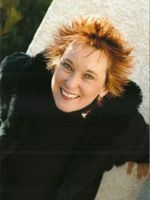 With the exception of a duet with her father, all vocals and instruments are performed by Beth Mullaney. This album will certainly spark the holiday spirit in all who listen.